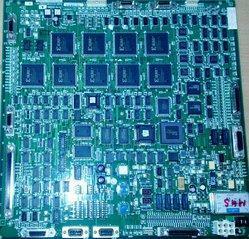 Star Automation is authorized service provider for electronics PCB Boards. Star Automation specializes in repair, rework, Test and Inspection of Medical electronic circuit boards and assemblies With Automatic Test Equipment and complete Lab facility and RoHS compliant PCB repair service. We can able all Manufacturer, OEM, Non-Warranty, Upgrades and Obsolete repairs, for a wide range of items. Our support support countries are: Singapore, Saudi Arabia, Bahrain, Kuwait, Dubai, Oman, Qatar, Abu Dhabi, Egypt, Sri Lanka, Bangladesh, Nepal, Thailand, Indonesia, Africa, German, USA and UK. Please call or email to get more information about our capabilities. Star Automation is a national/Global service Provider for Industrial Electronics PCB repair centre in ChennaiOur service offered to IT, Telecom, medical Military and Aerospace PCB Repair, any electronic equipment. Star Automation specializes in repair, rework, BGA rework, Test and Inspection of electronic circuit boards and assemblies With Automatic Test Equipment and complete Lab facility and RoHS compliant PCB repair service. We can able to service all OEM, Non-Warranty, Upgrades and Obsolete repairs, for a wide range of items. 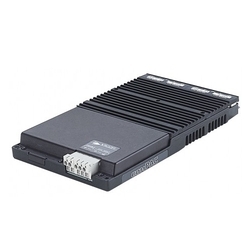 AC and DC Drive, Servo Drive, Servo Pack, Processor Board, I/O Card, Network card, Optical fiber card, Mother boards, CNC Machine Control card etc. 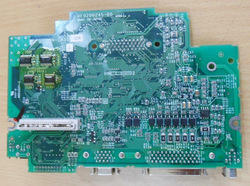 All Types Of Circuit Board Repairs & Refurbishments PCB’s we repairs.We will do Quick & Quality repair & service. Our expert engineers are finding your exact problem & rectify the problem quickly.We can provide repair & service to all over in Chennai City & India & aboard. USA(United States), UAE (United Arab Emirates), UK, Saudi Arabia, Malaysia, Sri Lanka, Australia, Argentina , Bangladesh ,Belgium ,Bahrain ,Brazil, Bhutan ,Belize ,Canada , Switzerland, Cameroon , China, Colombia, Germany Denmark , Egypt, Finland, France ,Greenland, Hong Kong , Greece , Indonesia, Ireland , Israel ,Iceland , Italy , Jamaica ,Jordan , Japan, Kenya , South Korea , Kuwait , Sri Lanka, Morocco ,Mauritius ,Maldives ,Mexico, Malaysia, Netherlands, Norway, Nepal , New Zealand, Oman, Philippines, Portugal ,Poland, Qatar, Russia, Singapore, Thailand, Turkey, Taiwan, Tanzania, Ukraine, United Kingdom ,South Africa, Vietnam ,Zambia and Zimbabwe. Star Automations is authorized service Provider for Industrial Electronics PCB service shop in Chennai.We have highly skilled technical engineers; they are troubleshooting the problem quickly.Any electronic equipment we will repair. Our service offered to IT, Telecom, medical, Military & Industrial electronics. We can able to service all OEM, Non-Warranty, Upgrades and Obsolete repairs, for a wide range of items. AC and DC Drive, Servo Drive, Servo Pack, Processor Board, I/O Card, Network card, Optical fiber card, Mother boards, CNC Machine Control card etc.All Types of Circuit Board Repairs & Refurbishments PCB’s we repairs.We can provide repair & service to all over in Chennai City, India. & aboard. For any repair & service support required, feel free to contact star Automations. We will do our best support at all times. Authorized Circuit Board Service Centre in Chennai.Star Automations is placed very near to your industries in Chennai.We have highly skilled & experience technical engineers that meet the Problem in circuit boards.We have successful done many services in our 15 year experience. Any electrical & electronic equipment we will repair. 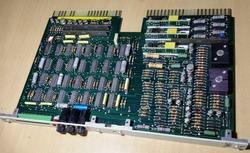 We can able to service all OEM, Non-Warranty, Upgrades and Obsolete repairs, for a wide range of items.Power plant modules,cards,PLC cards,DCS cards, Processor Board, I/O Card,ESP cards, Boiler control,Exciter control,Network card, Optical fiber card, Mother boards, CNC Machine Control card etc.All Types of Circuit Board & any makes, models of printed circuit boards we repairs.We can provide repair & service to all over in India & aboard. 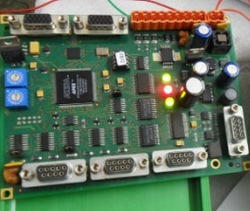 Industrial board repair technicians are always available in Star Automation. We are located in Chennai & Pondicherry.Star Automation will meet all of your service demands in near your industrial areas.We have experience Industrial board technicians that meet your service requirements. Any electrical & electronic Industrial equipment we will repair. We can able to service all OEM, Non-Warranty, Upgrades and Obsolete repairs, for a wide range of items. Processor Board, I/O Card, PLC , servo motors and servo drives , Distributed control systems (DCS) , Robotic controllers, Network card, Optical fiber card, Mother boards, CNC Machine Control card etc.All Types of Industrial Circuit Board, any makes & models of printed circuit boards we repairs.We can provide repair & service to all over in India & aboard. 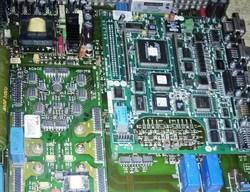 Are you looking for electronic circuit board repair shop in Chennai? Star Automations will meet all of your service demands in near you. We are located in Chennai.We have experience Circuit board technicians that meet your service requirements. Any electrical & electronic Industrial equipment we will repair. 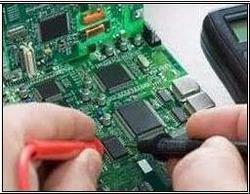 We can able to service all OEM, Non-Warranty, Upgrades and Obsolete repairs, for a wide range of items.Electronic cards, Processor Board, I/O Card, modules,Network card, Optical fiber card, Mother boards, CNC Machine Control card etc.All Types of Industrial Electronic Circuit Board, any makes & models of printed circuit boards we repairs and Indigenisation of Imported Control cards. Star Automations is Expert printed circuit board repairs Centre in Chennai city.We have highly skilled & Experience technical personals that meet your service demands. Our service offered to any electrical & electronic equipment. We can able to service all OEM, Non-Warranty, Upgrades and Obsolete repairs, for a wide range of items. 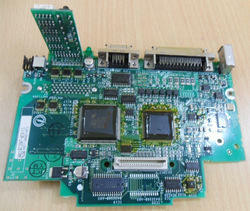 Processor Board, I/O Card, Network card, Optical fiber card, Mother boards, CNC Machine Control card etc. We service any makes, models & all types of Industrial circuit boards.We can provide repair & service to all over in India & aboard. For any repair & service support required, feel free to contact star Automations. We will do our best support at all times. Star Automation is a Global service Provider/partner for Industrial Electronics, IT, Telecommunication ,Power Plant ,Oil and gas ,Military equipment and medical device for Chip Level Service (component level repair service), Refurbishments and Maintenance, in the ability to repair virtually any electronic equipments or Printed Circuit Board (PCB)with an experience of 15 years. Star Automation specializes in repair, rework, BGA rework, Test and Inspection of electronic circuit boards and assemblies With Automatic Test Equipment (IC in-circuit tester) and complete Lab facility and RoHS compliant PCB repair service. We can able all OEM, Non-Warranty, Upgrades and Obsolete repairs, for a wide range of Equipment. AC and DC Drive , Servo Drive, Servo Pack,Power plant equipment,Test Equipment and Instrumentation, DCS ,ESP , Processor Board, I/O Card, CNC Machine Control card, PLC, LCD, HMI, HVAC, Building Automation System, Power Supply and SMPS, Inverter Welding machine (MIG/ITG), Plasma cutting,Embeddad board, boiler control, burner combustion control, Temperature Controllers, Counters, Logic boards ,Test & measurements and many other specialized electronic boards too numerous to list. Our major support countries are: UAE, Saudi Arabia,Bahrain,abu dhabi,Qatar, kuwait, Sri Lanka, Bangladesh, Nepal, Thailand, Africa, and UK. For any other related information feel free to contact us. Star Automation is an Professional service Provider of Industrial Electronics, IT, communication ,Military equipment , RF equipment and medical device for component level repair service, Refurbishments and reverse engineering service, in the ability to repair virtually any electronic equipments or Printed Circuit Board (PCB)with an experience of 15 years. Star Automation specializes in repair, BGA rework, Test and Inspection of electronic circuit boards and assemblies With Automatic Test Equipment (IC in-circuit tester) and complete Lab facility and RoHS compliant PCB repair service. Star automations provides complete solutions for the support and maintenance of high value electronic Printed Circuit Boards (PCBs) and modules. We are an electronic engineering company specializing in Repair and Reverse Engineering of Electronic Products. USA(United States), UAE (United Arab Emirates), UK, Saudi Arabia, Malaysia, Sri Lanka, Australia, Argentina , Bangladesh ,Belgium ,Bahrain ,Brazil, Bhutan ,Belize ,Canada , Switzerland, Cameroon , China, Colombia, Germany Denmark , Egypt, Finland, France ,Greenland, Hong Kong , Greece , Indonesia, Ireland , Israel ,Iceland , Italy , Jamaica ,Jordan , Japan, Kenya , South Korea , Kuwait , Sri Lanka, Morocco ,Mauritius ,Maldives ,Mexico, Malaysia, Netherlands, Norway, Nepal , New Zealand, Oman, Philippines, Portugal ,Poland, Qatar, Russia, Saudi Arabia, Singapore, Thailand, Turkey, Taiwan, Tanzania, Ukraine, United Kingdom ,South Africa, Vietnam ,Zambia and Zimbabwe. 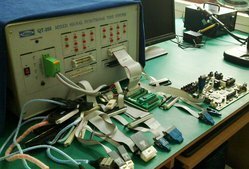 Star Automation is an Professional service Provider of Industrial Electronics, IT, communication ,Military equipment , RF equipment and medical device for component level repair service, Refurbishments and Maintenance, in the ability to repair virtually any electronic equipments or Printed Circuit Board (PCB)with an experience of 15 years. Our major export and support countries are: Singapore, Saudi Arabia, Bahrain, Kuwait, Dubai, Oman, Qatar, Abu Dhabi, Egypt, Sri Lanka, Bangladesh, Nepal, Thailand, Indonesia, Africa, German, USA and UK. Star Automation is an Professional service Provider of Industrial Electronics, IT, communication ,Military equipment , Power plant equipment, RF equipment and medical device for component level repair service, Refurbishments and reverse engineering service, in the ability to repair virtually any electronic equipments or Printed Circuit Board (PCB)with an experience of 15 years. Star Automation specializes in repair, BGA rework, Test and Inspection of electronic circuit boards(cards) and assemblies (module) With Automatic Test Equipment (IC in-circuit tester) and complete Lab facility and RoHS compliant PCB repair service. 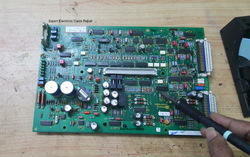 Marine Electronic PCB repair , Rework and redesigning / reverse enginerring . electronic Printed Circuit Boards (PCBs) and modules. We are an electronic engineering company specializing in component level Repair and Reverse Engineering of Electronic Products and obsolescence solutions. Design and Contract Manufacturing Services. 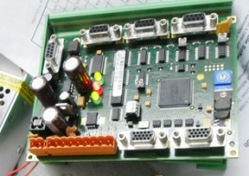 PCB design, layout or modification of an existing PCB design. 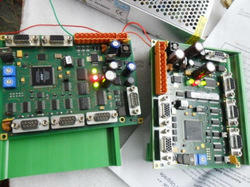 Repairing and testing of obsolescence modules. Re-manufacturing for any obsolete circuit boards. Star Automation specializes in repair, rework, Test and Inspection of Medical electronic service, circuit boards and assemblies With Automatic Test Equipment and complete Lab facility and RoHS compliant PCB repair service. Star Automation specializes in repair, rework, Test and Inspection of Medical PCB ,electronic circuit boards and assemblies With Automatic Test Equipment and complete Lab facility and RoHS compliant PCB repair service. We repair to component level Avionics & Military DC-DC Converters ,DC-DC Converters for Marine Systems,DC-DC Converters for Rugged Ground Vehicles, military aircraft, DC-DC Converters for weapons systems,DC-DC Converters for Space Systems . We strive to offer our customers the best Aftermarket solution for electronic cards repair and maintenance. Our Service Centers feature on-site and in-shop service for PCB repairs,Indigenisation of Imported Control cards. we are your total repair solution. We can offer solutions to hardware reverse engineering for obsolete or discontinued Printed Circuit Boards(PCBs) and modules. Mining Electronic Cards of HEMM equipment,Analog/Digital Methanometer and Multigas detector, gas monitor ,Microprocessor based environmental monitoring system ,Surface integrated communication system and underground mine equipment. In Chennai the authorized service centre for printed circuit board is Star Automation.We have successful done many services in our 15 year experience.We have highly skilled & experience technical engineers that meet the Problem in circuit boards. Any electrical & electronic equipment we will repair. We can able to service all OEM, Non-Warranty, Upgrades and Obsolete repairs, for a wide range of items. Processor Board, I/O Card, Network card, Optical fiber card, Mother boards, CNC Machine Control card etc.All Types of Circuit Board & any makes, models of printed circuit boards we repairs.We can provide repair & service to all over in Chennai, India & aboard. Packaging Details: 1)Worthy Packing 2)As per customer requirement. Star Automation will meet all of your service demands in near your industries.We have experience technicians & highly skilled persons that meet your service requirements.Star Automations will do in-house service & on-site service supports. Based on their problems in equipments.We have successful done many services in our 15 year experience. 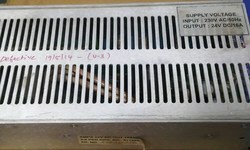 Any electrical & electronic equipment we will repair. We can able to service all OEM, Non-Warranty, Upgrades and Obsolete repairs, for a wide range of items. 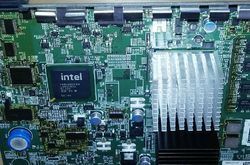 Processor Board, I/O Card, Network card, Optical fiber card, Mother boards, CNC Machine Control card etc.All Types of Circuit Board & any makes, models of PCB boards we repairs.We can provide repair & service to all over in India & aboard. For any repair & service support required, feel free to contact star Automations. We will do our best service support at all times. We are Star Automations, Doing sales and Service for all kinds of industrial Automations products. We are Authorized Service provider of Yaskawa Products. We are dealing Panasonic , Delta, Yaskawa, danfoss, Fuji and so on. We are providing service for all kinds of industrial Automations products such as servo Motor, Servo Drive, VFD, HMI, SMPS and so on. We are doing Encoder Service. We also doing Coil Rewinding for all make.We are having experts for handling each work. Each departments are well skilled and trained person. We also offering counselling for our clients based on their requriments. 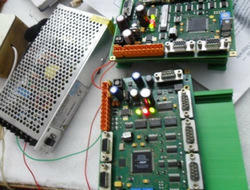 We having High tech equipments for PCB service. We are doing PCB service & repair. We are in this field for more than a decade. 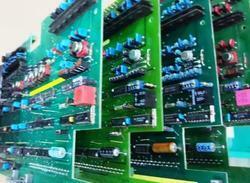 We have trained and skilled engineer for PCB service. 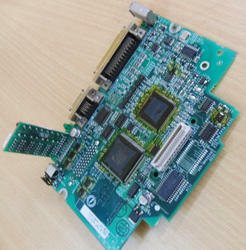 We are having high tech equipment and advanced technology for PCB service. The Spares required for the service is imported from Orginal Manufactures. We also offering Encoders for panasonic Motor. 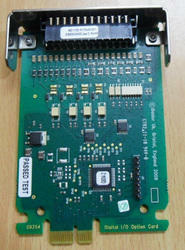 We can provide refurbished Motor and Drive for ACOPOS 1045. For any details feel free to contact us. Packaging Details: 1) Worth Packing. 2) Based on customer requirements. We repair to component level Marine automation Equipmement , Navigation system ,Communication equipment ,Deck products ,Generator Control System ,Radar, Automatic pilot , GPS , Integrate system, AIS, Electronics Maritime map , Gyro-Compass ,Urgent power Control Box and Engine Remote Control System . We repair to component level Marine Equipmement ,Marine Automation Services, Navigation system ,Communication equipment ,Deck products ,Generator Control System ,Radar, Automatic pilot , GPS , Integrate system, AIS, Electronics Maritime map , Gyro-Compass , battery charger , AVR ,Urgent power Control Box and Engine Remote Control System . 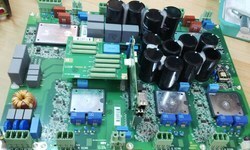 Looking for PCB Repair ?